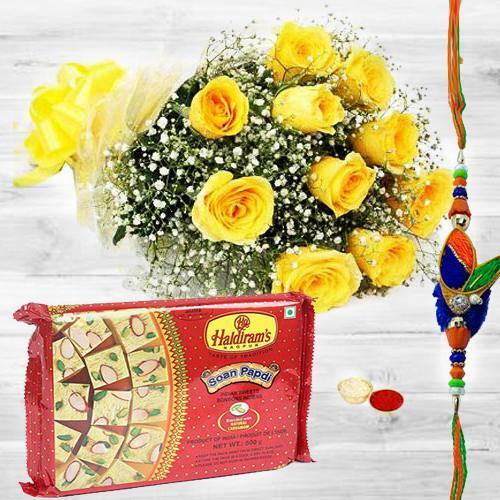 Pamper your loved ones by sending them this Romantic Morning 12 Yellow Roses Glory exclusively meant to convey your wishes in the best manner with 200 gms. Soan Papdi and one pc. Rakhi.